This space is perfect for a little girl! The fresh palette of blues and pinks offers a great place to rest, study, and play. 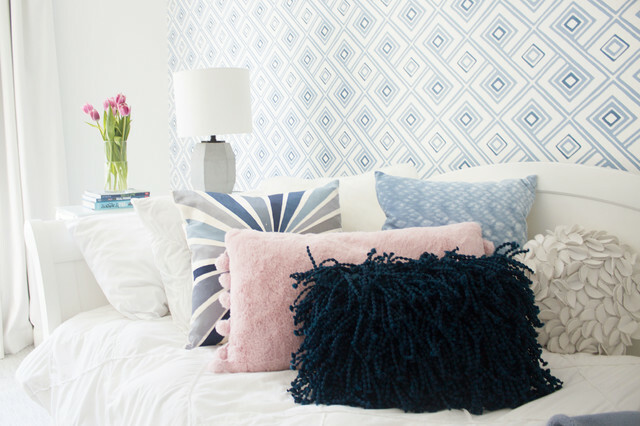 This bedroom incorporates personalized touches, fun trends, and plenty of storage! To complete the look - antique pieces were painted and given fun hardware, custom drapery, and a day bed that functions for sleeping and sitting with friends!